Los Angeles is a breeding ground for innovation, whether that’s in design, engineering or simply attitude. A place where new ideas come to life, with an optimistic, enterprising outlook in the endless California sunshine. With the help of the Mazda CX-5, we meet three Californians who are challenging the status quo, and pushing the boundaries in urban sports. After devastating floods in 1938, the L.A. River was turned into a 51-mile storm drain. For decades it was neglected, an eyesore running through L.A. But that is changing, thanks to people like Linda Ly, a blogger, author and keen kayaker. We’re meeting Linda at Rattlesnake Park, a tiny patch of green next to one of the few stretches of the river that is now open to paddlers. There’s also a bike path running alongside the river, but that’s no help to us, and the journey inland is undertaken in typical stop-start L.A. traffic. Fortunately, the cabin of the Mazda CX-5 is a pleasant space to pass the time. 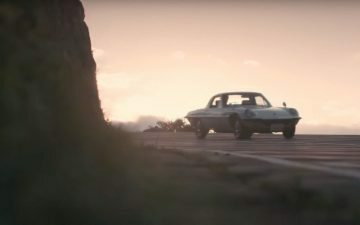 You feel cosseted behind the wheel, the center console and gearshift raised a little higher for easier access to the shifter and controls for the MAZDA CONNECT infotainment system. The pale leather, aluminum, and engineered wood materials work in harmony, creating a relaxed ambience. The head-up display shows my speed and gives turn-by-turn directions, even projecting traffic signs and the status of active safety systems onto the windshield in full color. It’s quieter than the previous model and the ride is supple even on the most broken surfaces. 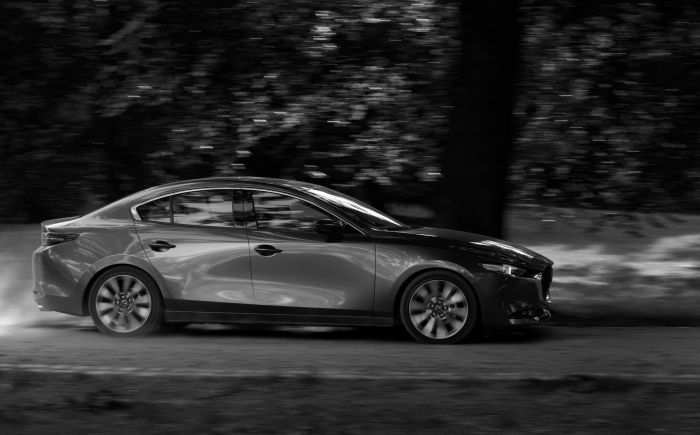 There’s an additional precision to the steering, and performance from the SKYACTIV powertrain is never lacking. The hour’s drive from Venice Beach to Rattlesnake Park passes easily. Linda is there with her bright-orange kayak, ready to take the water, something that couldn’t have happened just a few years ago. In 2008, an intrepid group of paddlers proved the river was navigable, which led to it being given protection under the Clean Water Act and prompted the beginnings of a major clean-up. By 2011, the first 1.5-mile stretch of water at the Sepulveda Basin opened to the public. Linda runs the Garden Better Blog with a focus on home-grown food from her own garden. She also writes about snowboarding, hiking, camping, and, of course, kayaking. “Having a green space in the middle of this congested city where people can relax is invaluable. There are migratory birds that you don’t see anywhere else in the city and wild figs growing on banks. It’s such a unique riparian environment. It’s a whole ecosystem,” says Linda. “I co-lead volunteer groups at Rio de Los Angeles state park that helps to restore the environment and maintain the trails. It’s so close and so accessible. But it’s 51 miles of concrete and trying to clear up that much will take time. Finding a cohesive plan is also difficult, because you have to consider, not just the recreational aspect, but also hydrology issues—it still has to be a flood control channel,” she says. The outlook for the river is positive, though, with famous architect Frank Gehry among the supporters proposing restoration plans. And it’s all thanks to a group of kayakers like Linda and their long-term vision.